Unfortunately yes. Look no further than the 2016 Consent Decree by and between the Plaintiff, United States Department of Justice (DOJ) and the Defendants, Craft LLC and 30 Hop LLC, d/b/a 30 Hop. For the complete document see the link at Consent Decree for Craft and 30 Hop. Defendant 30 Hop LLC owns and operates the 30 Hop restaurant and bar, located at 900 East 2nd Avenue, Coralville, Iowa. Defendant Craft LLC owns the facility located at 900 East 2nd Avenue and leases it to 30 Hop LLC. The facility was designed and constructed by these Defendants and opened for business in 2014. The DOJ Complaint in this action alleges that the Defendants have engaged in disability discrimination in violation of Title III of the ADA and the Title III Regulation by failing to design and construct the 30 Hop facility in compliance with the 2010 ADA Standards. The DOJ Complaint alleges that the 30 Hop restaurant and bar does not provide an accessible route to the upper level rooftop patio or the basement, has an inaccessible entrance, provides stairs with open risers, has no accessible dining tables, and contains inaccessible toilet room elements. The DOJ stated that it initiated its investigation following a report in a newspaper article that the 30 Hop rooftop dining area was inaccessible to individuals with mobility disabilities. They heard about this from a newspaper article! So how can this happen in 2014? Was the building inspected by the municipal authority with jurisdiction for the building code inspections? Were those inspectors qualified to do an ADA inspection? The list of actions to remedy this complaint is huge. 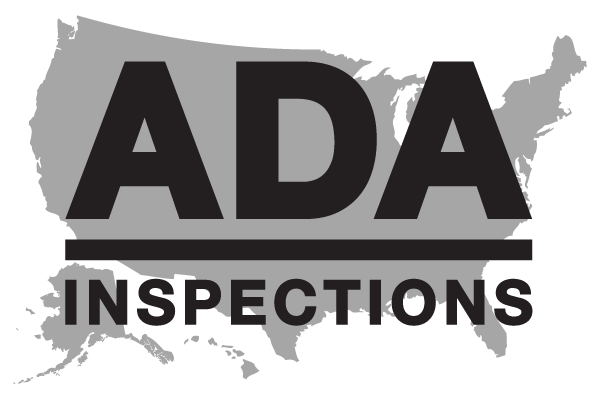 And the specific items on the remedy list is common to many reports written by ADA Inspections Nationwide, LLC. But those reports are usually on buildings at least 20 years old. Those buildings were built way before the 2010 ADA Standards. DAMAGES AND CIVIL PENALTY: The Americans with Disabilities Act of 1990 [ADA] authorizes the Attorney General to seek a court award of compensatory damages on behalf of individuals aggrieved as the result of violations of Title III of the ADA. Within ten (10) days after receipt of a Release of Claims form, the Defendants will compensate an aggrieved individual with a disability identified by the United States, by sending a certified check or money order made payable to the individual in the total amount of three thousand five hundred dollars ($3,500). The ADA authorizes the Attorney General to seek, and the Court to award, civil penalties of up to $75,000 for a first violation of Title III of the ADA and up to $150,000 for each subsequent violation. The United States believes the imposition of a civil penalty in this case is warranted to vindicate the public interest. Defendants will pay a civil penalty to the United States in the amount of seventeen thousand five hundred dollars ($17,500). Expensive! SUMMARY: So it is important for a building owner and/or tenant to be aware of the ADA laws and make sure that the engineering and architectural firm and construction contractor comply with current ADA laws when constructing a new building.